Oberleutnant Gerhard Von Stachelsky was the commander of a WW1 German bi-plane bomber which was shot down by British air ace Gilbert Ware Murlis-Green on the night of December 18th 1917. This was first time a German plane was downed at night over Britain. Von Stachelsky's plane [A Gotha bomber like the one below] crashed into the sea killing the pilot. He was rescued along with the rear gunner by an armed trawler. The trawler decided to winch the wreckage of the plane on board - but von Stachelsky had set a time delay bomb to destroy the plane and it went off and mortally wounded a sailor [Frank Gee aged 47] who died the next day. The watch looks to be in original unmolested condition with possibly the original strap?? Vendor states that it has German silver hallmarks, so hopefully I will be able to date it to verify its authenticity. i have seen no pics of the movt but vendor says it works intermittently so hopefully it will just need a service. Also included in the lot is this postcard - which may or may not have anything to do with the watch [i do not know why it comes with it] Can any German speakers possibly Pm me a translation?? Looking forward to this one arriving and taking some quick pics of the movt to share with you all. I was very interested to hear of the changes in your life and location, and I am very happy to hear that you like it there so much. What a wonderful story and a lovely find. Congratulations! The strap looks correct for the time period. I wonder how the watch came to be about-was it perchance a confiscation by the apprehenders of V.S.? PS I have a watch used by a WW2 Luftwaffe air crew, with copies of his papers and manifests for flight, which included three watches! There are also copies of this Iron Cross awards, and Red Cross de-mob papers, and squadron number. He was in flying boats. I should have the watch soon from the watchmaker, when I hope to post a pic of it. It was in the loft for a while so the dial's not perfect, but prefectlly usable. My man - Von Stachelsky apparently ended up at a POW camp in Skipton, Yorks for the duration. 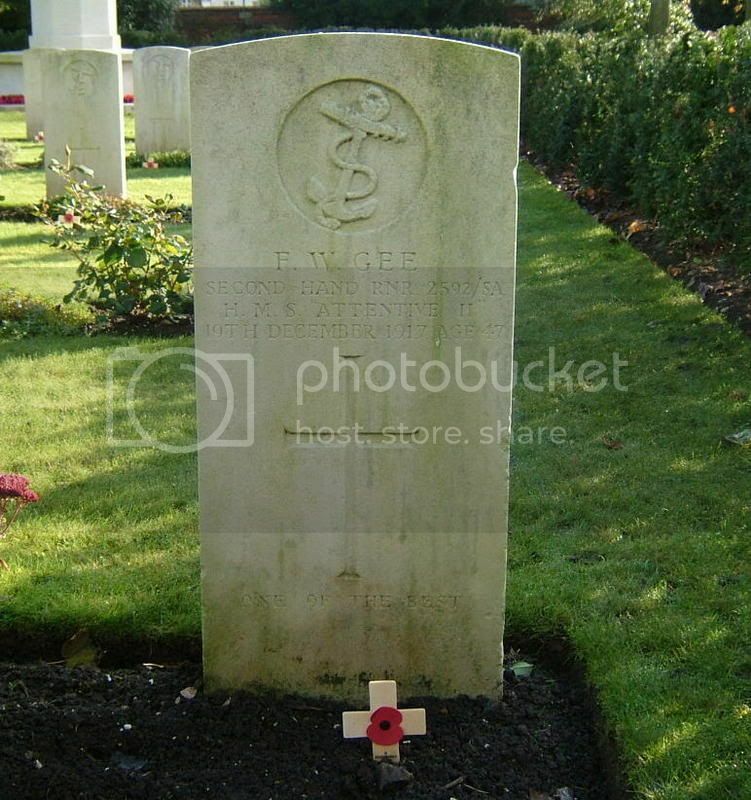 It is not known why the grave says HMS Attentive - as the ship he was on board when killed was HMAT Highlander. Very poignant at this time of year i think. That´s a very nice piece and a great story, congratulations ! I'm speechless. 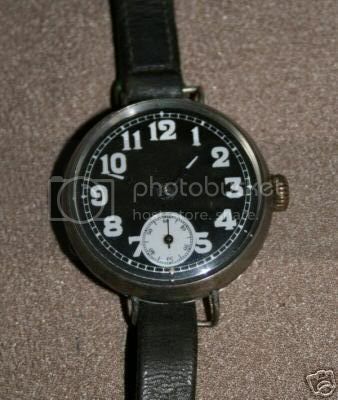 I hope you know that this is not only a watch, this is a true piece of history! Congratulations, from the deepest of my heart! I have more details of the story of Von Stachelsky which I shall post in detail when I have the watch in my hands and seen the movt/hallmarks etc. It is amazing what one can research on the internet if one has the knack for it! I cannot find the first name of the gunner - his surname was Wiesman. 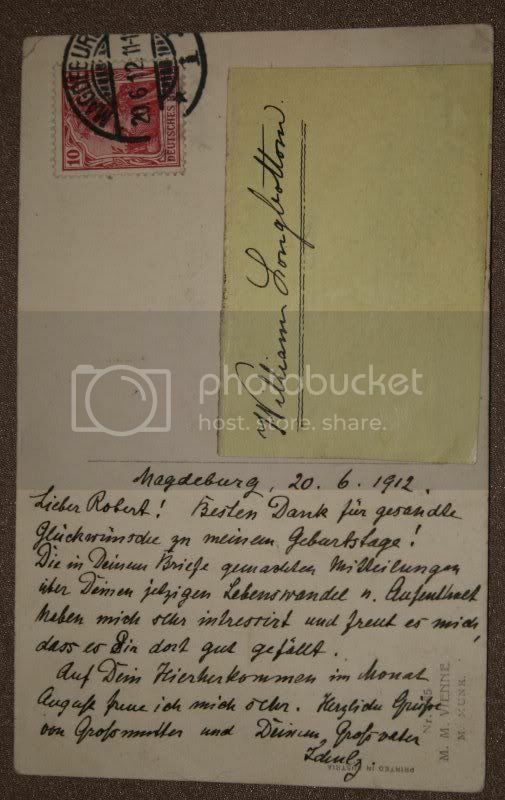 The postcard is addressed to "Robert". 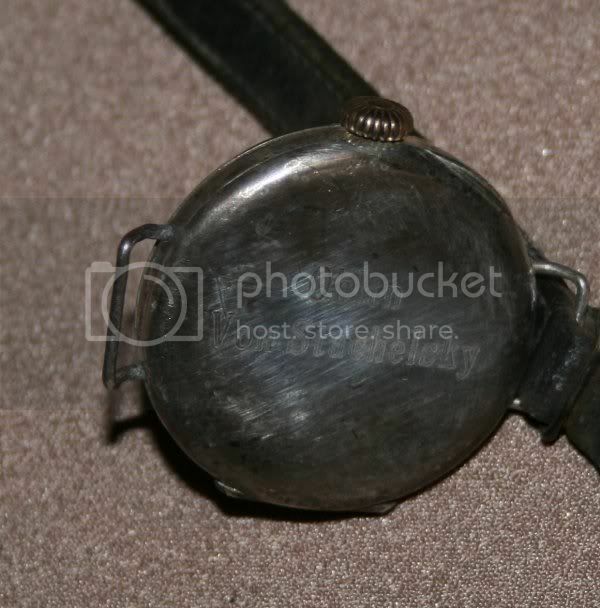 I wonder if it was taken from Wiesman as war booty along with the watch and they were kept together??. Note the postcard has the name "William Longbottom" written in contemporary writing. I wonder if he may be a shipmate of the dead sailor from the "Highlander" who took these items?? Researching this will keep me going for ages i am sure - which is just as well as the deal was that Carole would buy me this for Xmas on the condition that i did not buy another watch next year :sad5: :sad5: :sad5: But i think the deal was worth it to get this!! That is a great historical find and so interesting Tim. The name is HMS Attentive II, which was the name of the shore base at Dover from December 1914 to 31st October 1919. Maybe HMAT Highlander was part of the base's fleet of Armed Trawlers? Thanks for sharing this excellent find! Absolutely brilliant. Thanks i think thats the reason - I have found that Gee is mentioned on the Dover Patrol memorial for the 1914-18 war. It's be nice if this thread was in BMW so it doesn't get lost.